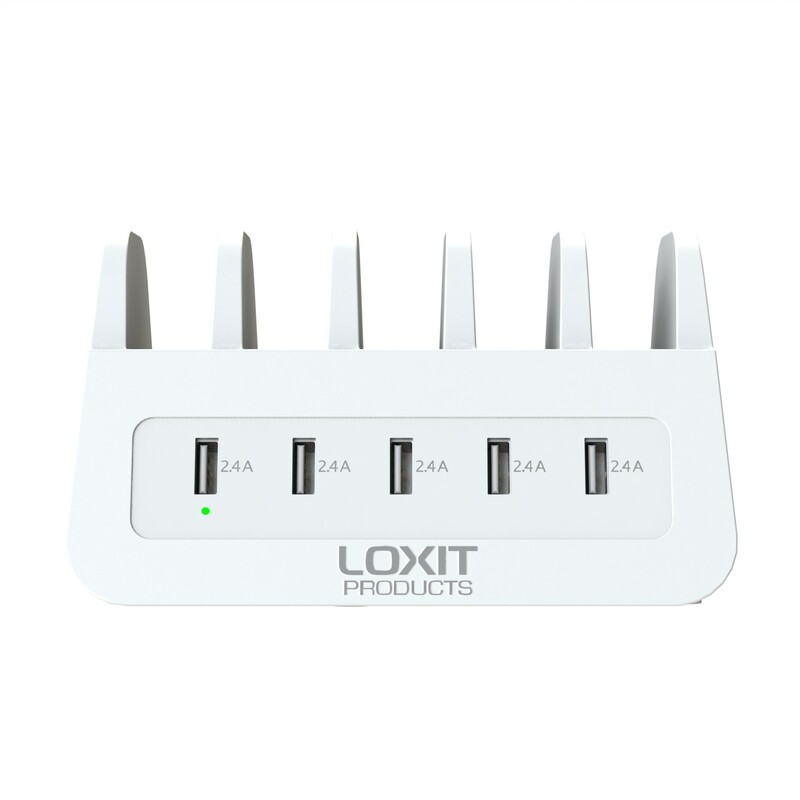 An incredibly neat way of organising and charging up to 5 devices. The simple, stylish design of the Tab Rack hides a host of features that allow you to store and charge any USB chargeable tablet or phone, including 2 universal plug sockets for laptops/peripherals. All from one mains cable. 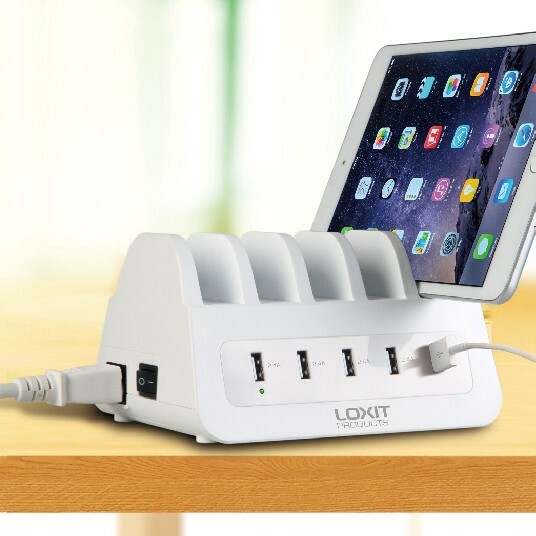 De-clutter your workspace, organise and charge your devices. Storage slots for 5 tablets or phones. 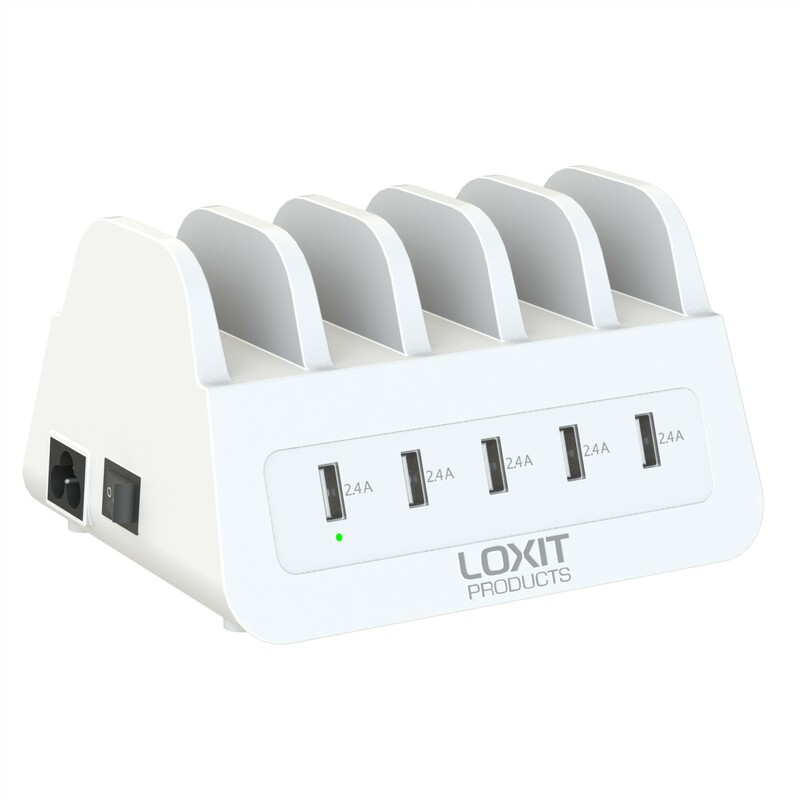 Universal USB charging for all devices. 2 spare universal power outlets. 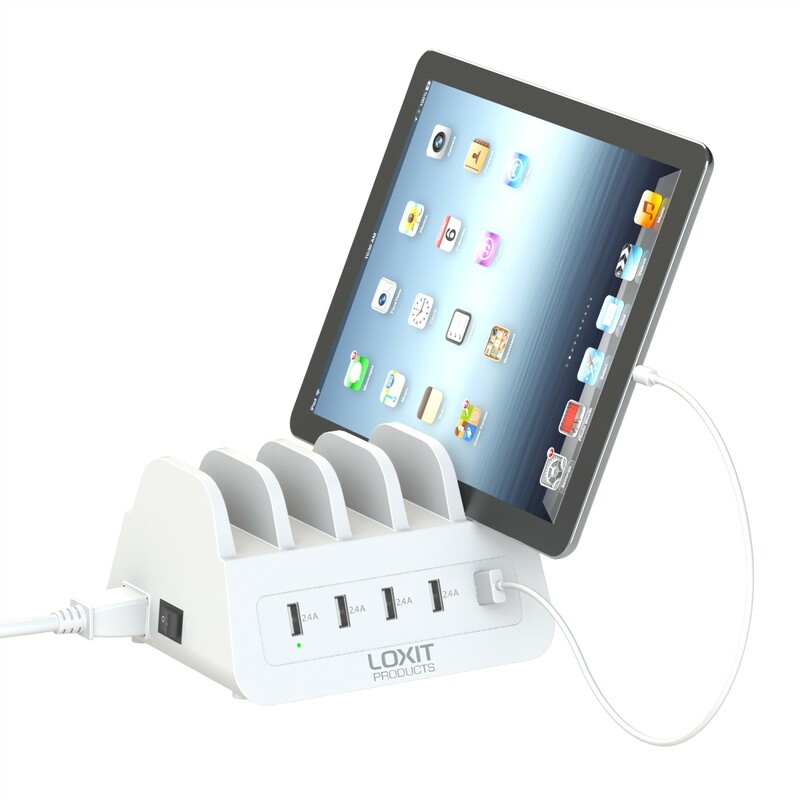 For office use with the 2 spare universal power outlets for laptops. For the home, to de-clutter your space, the Tab Rack 5 is a stylish and really useful organiser and charger for iPads and tablets, iPhones and mobile devices. 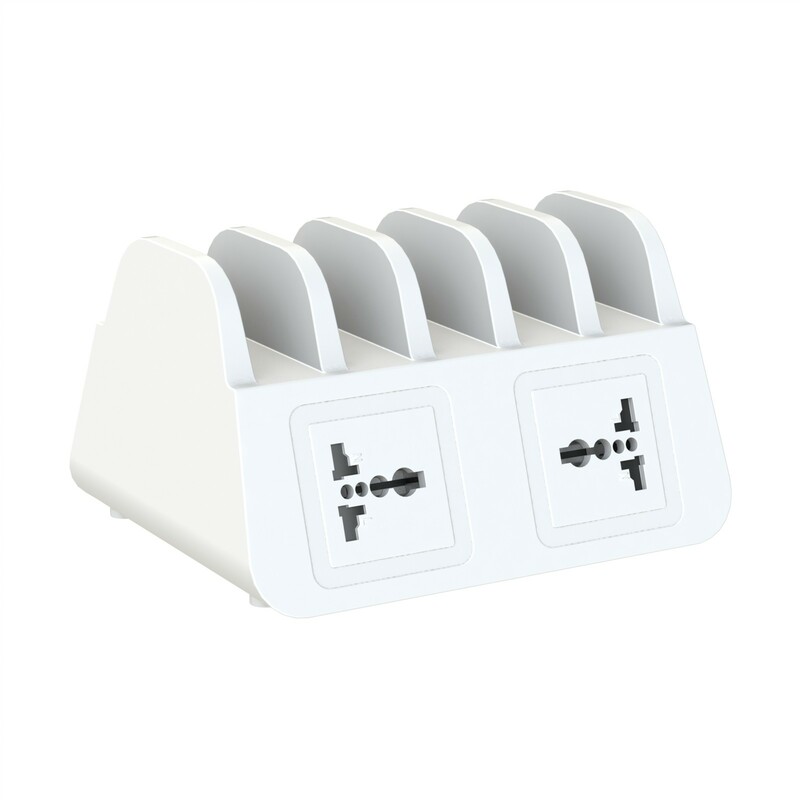 The TabRack 5 Universal USB Charge Station has a 1 year warranty. In stock. Order with Hi-Lo Duo 680.